For more than 40 years, Cotton Incorporated has worked in partnership with research institutions, public companies and top cotton organizations to advance the cotton industry. 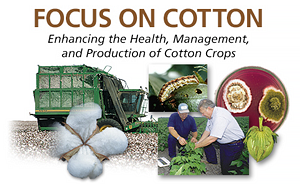 On this page, you’ll find research, reports and other materials from Cotton Incorporated’s rich library. Read it all, or refine your search by region or by topic. A reference document on traditional module building, tarp maintenance and handing round and half-size cotton modules.